A really unique gift for your friend. 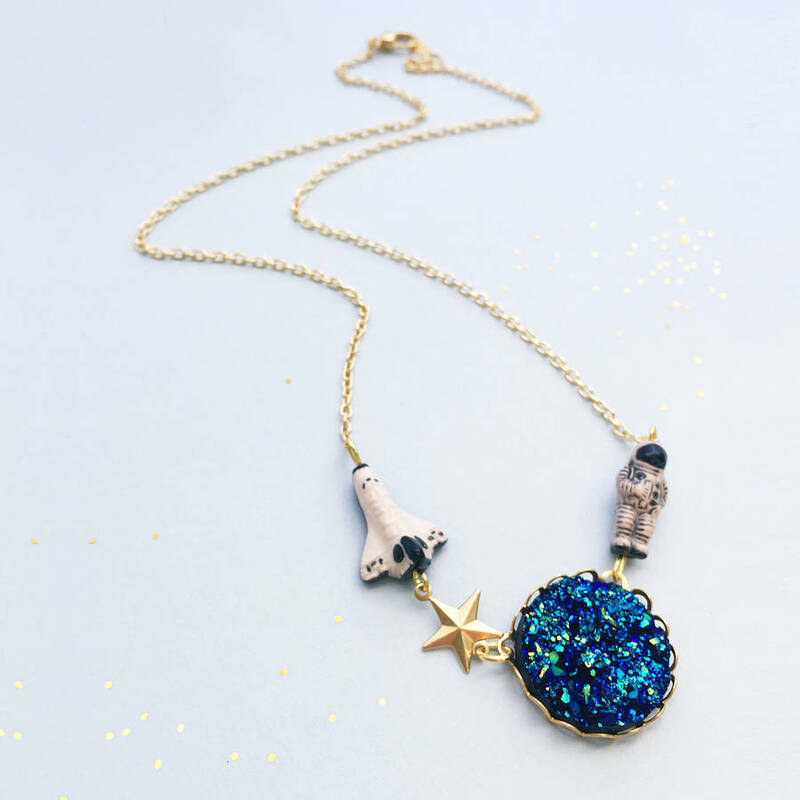 This tiny orbiting astonaut is taking their space walk above a faux druzy stone, flashing beautiful colours of greens and blues. 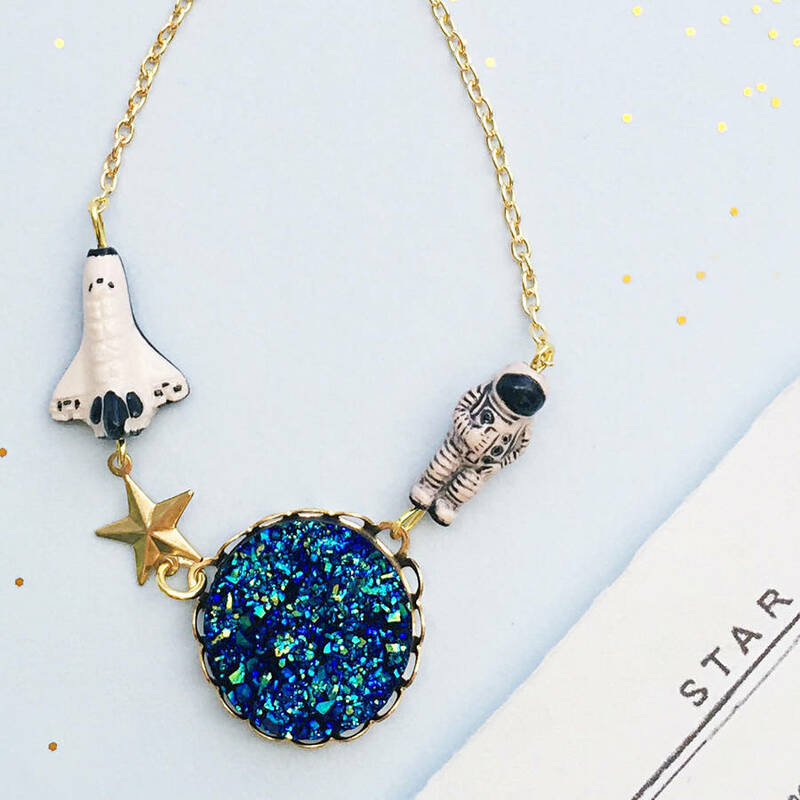 Cutting edge and quirky, this is the perfect gift for a space lover, science gal or a friend about to take the first step into their own adventure! 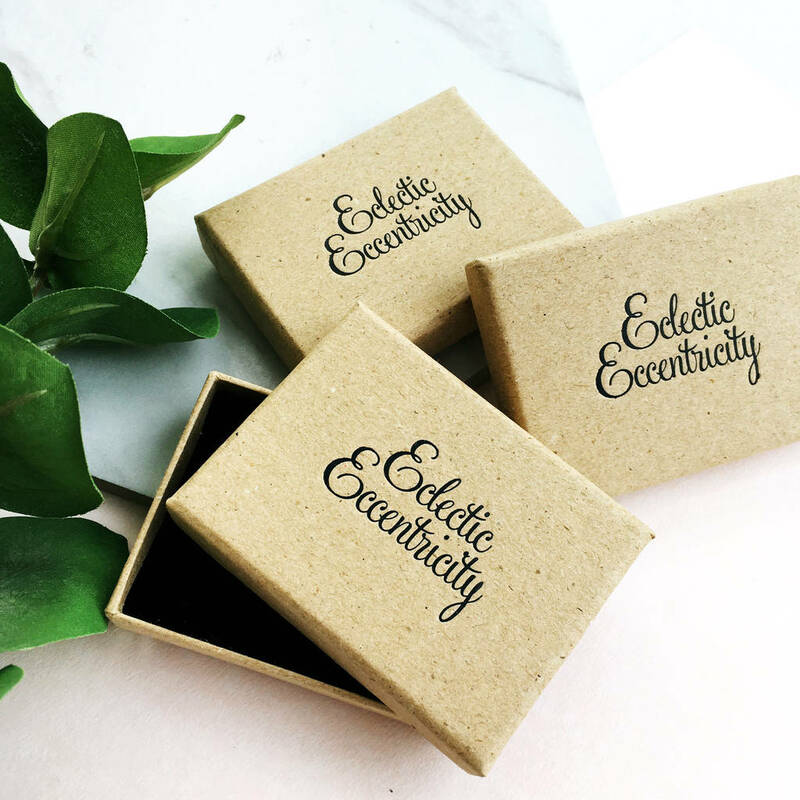 Will arrive presented in an Eclectic Eccentricity gift box so it's all ready for gift giving. 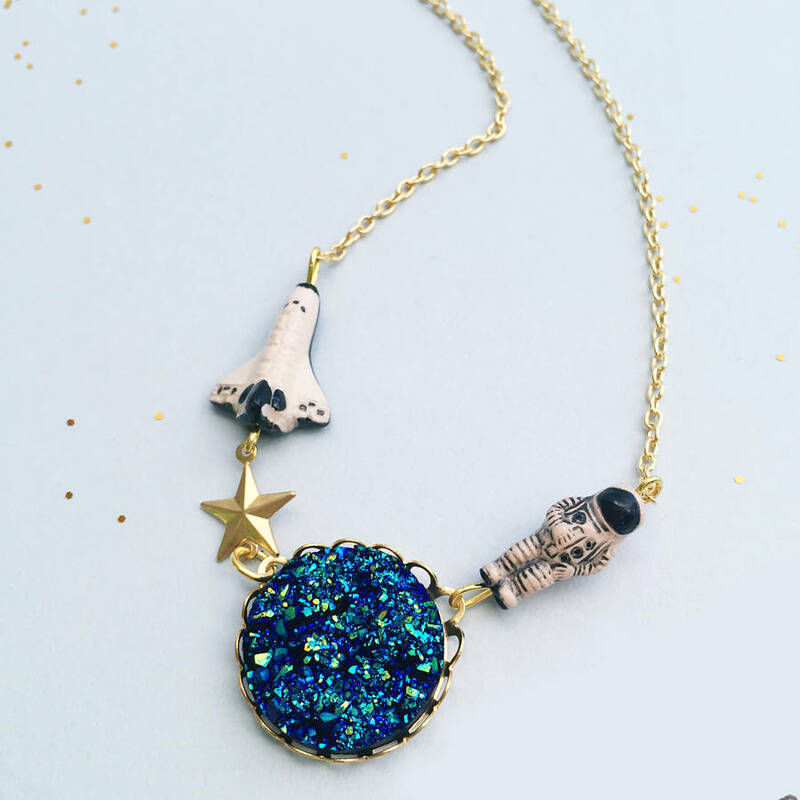 Gold plated chain with ceramic space shuttle and astronaut. Gold plated chain, overall length measures 45cm (18"). 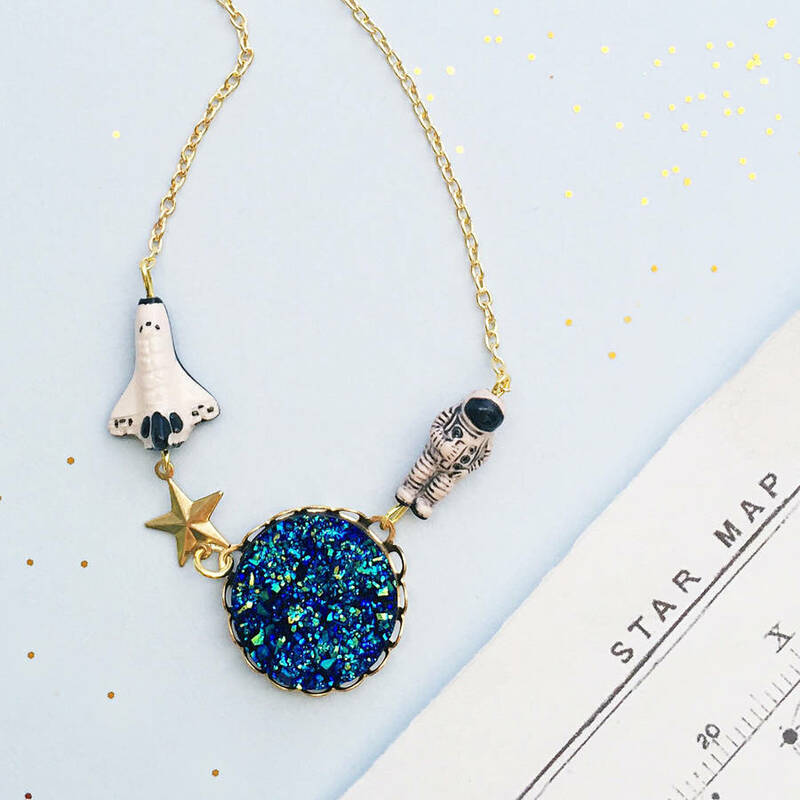 Teeny Peruvian ceramic shuttle and astronaut beads measure 18mm each.